Hump Day! These pictures are brought to you from the Beautiful Charlestown Navy Yard. It's hard to believe we are experiencing 70 degree weather in Novemeber, but hey, I'll take it. I decided to opt out of my comfort zone with this look. 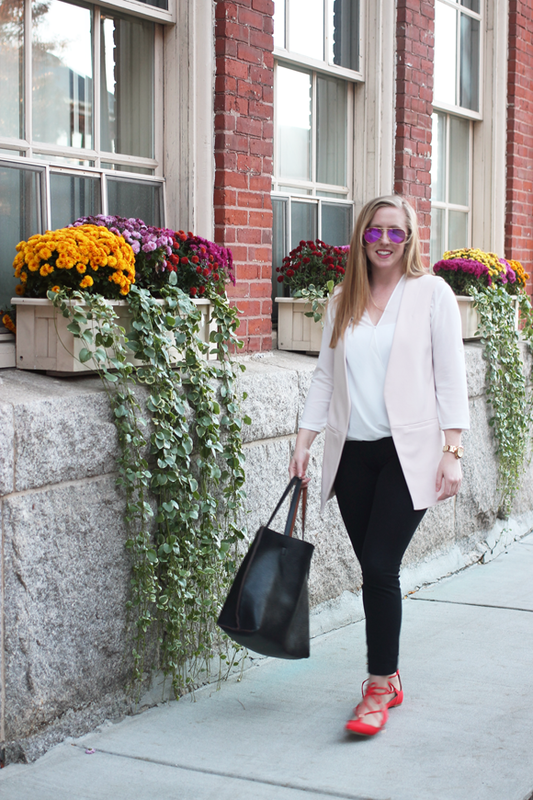 Instead of pairing this soft pink vest with my go-to black flats, I laced up my red ones and headed out the door with no turning back (inspired by my recent insta). Pink and red (surprisingly?) compliment each other nicely here. Though it could be the red brick or colorful fall blooms making the whole picture appealing. Either way, I'm happy with this look. What do you think? 5 comments on "Pink Loves Red"
I love this look! The blush pink looks awesome paired with the red flats! That jacket is so great! I'd wear it with everything! 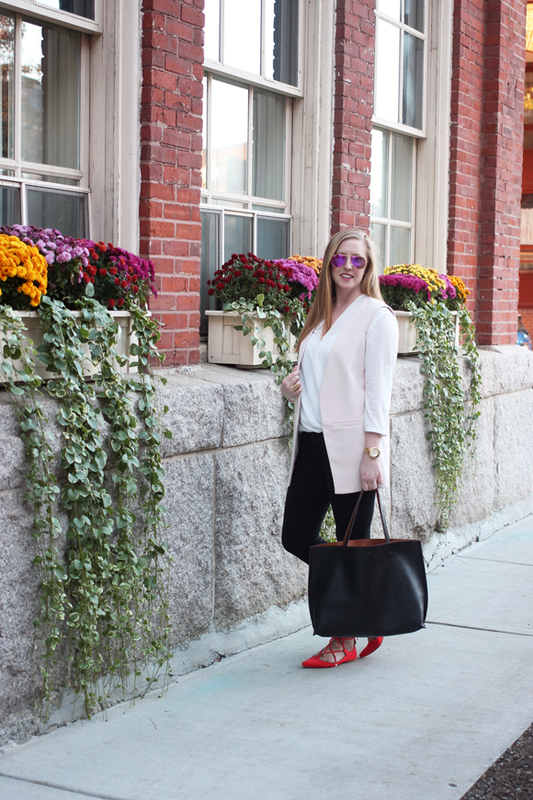 I've been lusting over these red flats for a while and love how you paired them with blush pink! Great look! LOVE those red laceup flats.